Law School of the University of Latvia (LL.B., - 1993); Institute of International Affairs (International Business Studies, 1994); Recipient of the U.S. Senator Edmund F. Muskie scholarship, 1994; John Marshall Law School, Chicago, IL, USA; (LL.M., 1995). Legal Counsel for Ministry of Foreign Affairs of Latvia (1994); Welsh & Katz, Ltd., Chicago (1995); Member of the Working Group on Tax Law appointed by the Prime Minister (1997); Member of the Working Group on Intellectual Property Protection and Enforcement Issues appointed by Prime Minister (1999); Head of Tax & Legal department of Ernst & Young Latvia, Head of Tax ad hoc group of the Foreign Investors Council in Latvia (1998-2002), Founder of Gencs Valters Law Firm (2000), Lecturer in the Stockholm's School of Economics in Latvia (2000).Chairman of the Norwegian Chamber of Commerce in Latvia- 2008 -2011. EUROPEAN TAXATION, 2007 (IBFD) International Income Tax Changes in Latvia; TAX ANALYSTS (USA) country correspondent; BNA World Intellectual Property Report; Madrid Agreement Concerning the International Registration of Trademarks in Latvia; EIPR International Bar Association, 1997. 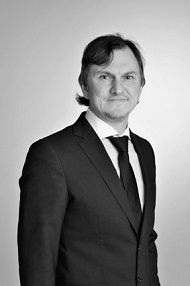 Attorney in Latvia, Latvian Bar Association; Attorney in Estonia, Estonian Bar Association; Attorney in Lithuania, Lithuanian Bar Association, International Bar Association, AIPLA; FICPI, ECTA; AIPPI; LES USA & CANADA; ITMA; INTA; MARQUES, GRUR, International Tax Planning Association; Latvian Patent Attorney, Latvian Trademark Attorney, Latvian Design Patent Attorney, Association of Latvian Patent Attorneys; European Patent and Trademark Attorney.